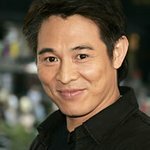 Action star Jet Li has blogged about an exciting new initiative he is involved in with former British prime minister Tony Blair. 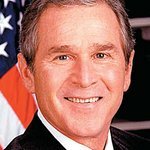 “Yesterday, I visited Guiyang, China with Former Prime Minister Tony Blair to announce our “Thousand Villages Project” that focuses on changing the way electricity is consumed in China and the world by taking people off the electrical grid and switching them to solar power," wrote Li. "In addition to using renewal power, switching lighting not only in the household but also in buildings and streetlamps to LED takes less power to use longer. That’s like doing three simple things at once to make sure the next generation can see blue skies more often. “Tony told me that in Britain, driving electrical cars and using renewal power has already become the norm. “Over the past two years, each progressive step that the One Foundation has taken in helping with public welfare matters or charity related work often makes me very excited. I’m always touched when I see even more people join hand-in-hand with the One Foundation and launching a project together because of an idea, because they identify with us, and because they care about our society. This kind of feeling totally exceeds the satisfied feeling of that I get after completing a film. “If you don’t take the small steps, how will you walk a thousand miles; the progress of public welfare and charity related work depends precisely on every little matter that might not be of any interest. “Yesterday, the Climate Group and the One Foundation jointly launched the “Solar-powered LED Lighting the Thousand Villages Project”. This is the first collaborative project between the Climate Group and the One Foundation since signing a cooperative strategy memorandum agreement in March of this year. “I’d like to ask everyone a very simple question – have you ever experienced a power-cut before? Or maybe try to imagine, what would you do if you had no power at night? How much would it affect your lifestyle and the way you live? What I want to say is, there are a lot of people living right next to us – in rural villages throughout China, in India, in Africa – they live in an environment with no electricity or power sources. “Luckily, this kind of phenomenon is in the process of changing. Yesterday, I represented the One Foundation and together with one of the co-founders of the Climate Group, former British Prime Minister Mr. Tony Blair, we jointly launched the “Solar-powered LED Lighting the Thousand Villages Project”. We also visited Baigong Village in Dang Wuxiang of Huaxi district, Guaiyang. This village is also our first illustrative example for the Thousand Village Project. The time frame set for the Solar-powered LED Lighting the Thousand Villages Project is five years. The project will involve 400 villages around China in the first two years. In the next three years to follow, the project will expand to over 600 villages within countries including China, India and Africa.